What The Fast? How Monday and Tuesday will change your life. 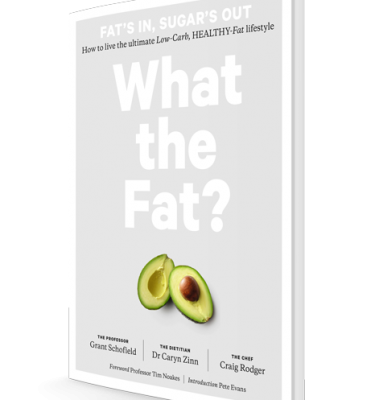 - What The Fat? Home Uncategorized What The Fast? How Monday and Tuesday will change your life. 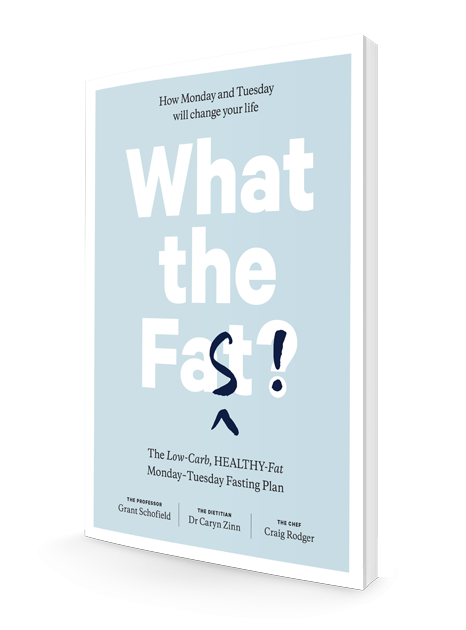 Order your copy of What the Fast! today to secure your copy. We only have a limited first print-run and do expect to sell out. I know its a cliché, but this book really has changed my life. I’ve lost 4kgs over two months & feel fantastic. I have fasted before but always put the weight back on. Highly recommend it. Just what I needed. At 61 I was finding it very difficult to shed weight and lacked a structure to adhere to. 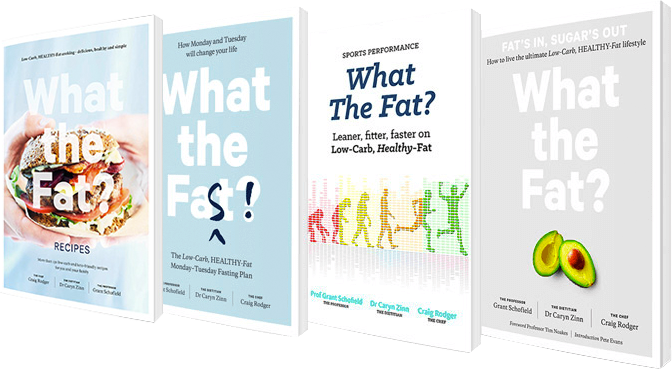 Well, ‘What The Fast’ has not only provided that structure but provides superb recipes backed by the latest science. Very accessable and a real eating behavioural game changer. More energy by fasting? Yes! And empowering too. Essential reading for anyone who is interested in living the best life that they can. The book is easy to read but contains plenty of in-depth information. The recipes are delicious – which may seem stange in a fasting book! I’ve made regular fasting part of my life and I’m very happy with the positive changes in myself. 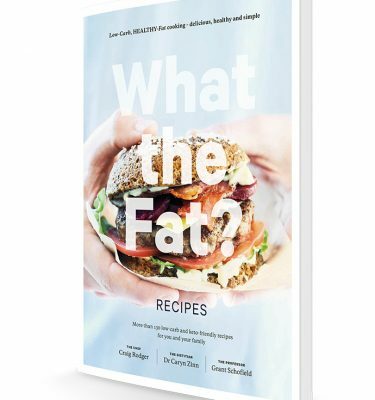 Looking forward to the next book WTF team! 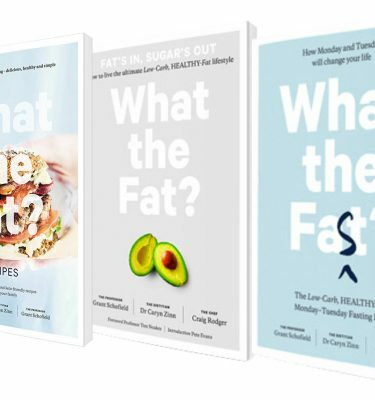 On the back of the success of the What the Fat books, What the Fast takes an evidence-based approach to the practice of fasting and translates science into easy-to-implement strategies that everyone can understand. 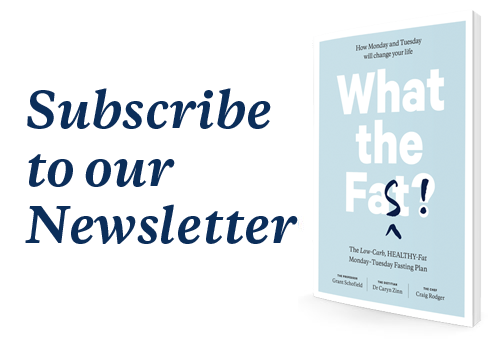 In addition to the science rationale, there are delicious recipes that are budget conscious and quick to prepare, and real-life case studies that illustrate the effectiveness of the Super Fasting approach. I would recommend this to any person interested in the science of fasting, especially health practitioners who require a structure to put into place for their clients. 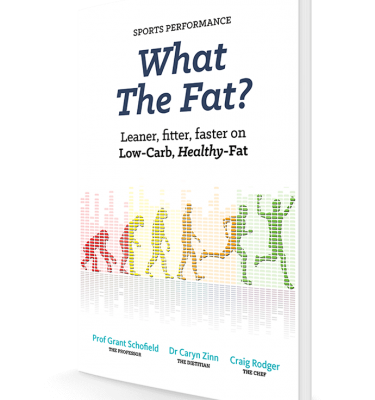 What The Fast is not only loaded with practical and detailed information, it’s also a very aesthetically enjoyable read. They’ve totally covered it all from both a beginner and advanced level in a language that’s super relatable. Who would have thought we could ever get so excited about not eating? Best anti-ageing book I’ve read. Im loving WTF!! Have converted from the 5:2 diet and find this approach sooo much easier to do. I understand the science a lot more now and the recipes are delicious! Will be recommending to friends, thank you! I am a total convert to the world of fasting! This book is incredibly informative, and the concept of fasting is explained in a very user friendly way. The recipes are stunning! I am onto my second week and already feeling and seeing the results! I’d always been interested in fasting but didn’t really know where to begin. I love how the book lays it out and makes it so simple without overwhelming you. The recipes are SO delicious! i couldn’t wait to get started.